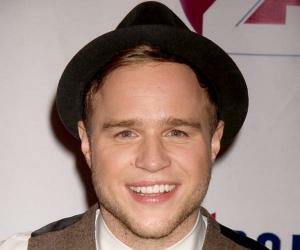 Oliver Murs better known as ‘Olly’ Murs is a sensational English pop singer, songwriter, actor and television presenter. This biography profiles his childhood, life, career, achievements, and gives some fun facts. Oliver Murs better known as “Olly” Murs is a sensational English pop singer, songwriter, actor and television presenter. Olly worked in a call-center before winning hearts on the sixth season of the singing reality show ‘The X Factor’ in 2009. He made it to the finale of the competition with Stacey Solomon and Joe McElderry but was announced runner-up, losing the title to Joe McElderry. However, his versatility and popularity helped him establish a phenomenal career in the music industry. From his debut single ‘Please Don’t Let Me Go’ to his self-titled debut album, Murs topped several international music charts gaining worldwide fame. 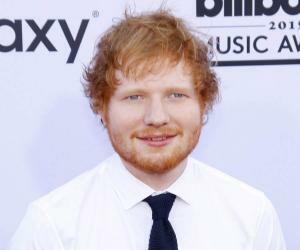 Since the success of his first album, he has released fourmore studio albums. Apart from his flourishing music career Olly has also appeared as a presenter on the television shows ‘The Xtra Factor’ and ‘Text Santa’, and embraced a career in acting with a guest role in the American teen drama ‘90210’. His latest album ‘24 Hrs’ was certified “platinum” by the ‘British Phonographic Industry’ and peaked the ‘UK Official Charts Company’. Spanning the six years of his singing career, Olly has worked with reputed record labels such as ‘Epic Records’ and ‘Syco Music’ in the United Kingdom and has even signed a record deal with ‘Columbia Records’ in the US. 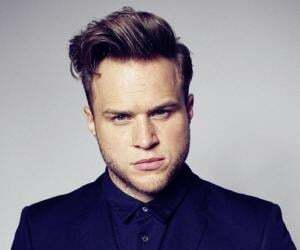 He was born as Oliver Stanley Murs to Vicky-Lynn and Pete Murs on 14th May, 1984 in Witham, Essex. Olly grew up alongside his twin brother Ben Murs and his sister Fay Murs. He went to ‘Howbridge Junior School’ in Witham and attended ‘Notley High School’ in Braintree, Essex later. During his high school years Olly seemed to be more athletic than musical and was even a striker in his school’s football team. His passion for football only grew with time making him the winner of the ‘Ridgeons Reserve Team’s Cup’ by scoring 12 goals in only 13 appearances. However, owing to an unfortunate injury his football career came to a dismal end. Gradually his interest for music got the better of him, and he auditioned for ‘The X Factor’ but couldn’t clear the auditions twice. He began working at ‘Prime Appointments’ as a consultant and joined a local covers band called ‘Small Town Blaggers’. In 2008, he decided on a solitary trip to the east coast and returned after three months with a more determined temperament to reach the live shows of ‘The X Factor’ and auditioned once again in 2009, this time clearing all elimination rounds. Murs sang Stevie Wonder’s ‘Superstition’ for the judges ‘X Factor’ audition. After his selection he went onto the ‘bootcamp’ round where he sang Elton John’s classic ‘Your Song’ and became a fierce contender for the live stage shows. He glided through the live shows belting out numbers such as ‘She’s the One’, ‘A Fool in Love’ and ‘Bewitched’ and was backed by public votes and made it to the finale. For the finale he performed alongside his idol Robbie Williams with a duet of ‘Angels’. However, he didn’t win the show and was announced runner-up to his contender Joe McElderry. But all didn’t end here for Olly, the following day he was offered to sing alongside Robbie Williams once again at the ‘Soccer Aid’ event. In 2010, he signed a deal with two mega UK record labels, which was ‘Epic Records’ and ‘Syco Music’. For his debut album he worked with some of the finest figures of the music industry such as John Shanks, Eg White, Trevor Horn, Wayne Hector, Martin Brammer, Mark Taylor, Chris Difford and many more. Soon after the big announcement of his first studio album a single titled ‘Please Don’t Let Me Go’ hit radios on 27th August that year. It peaked several charts with the album ‘Olly Murs’ booking the first spot on the ‘UK Albums Chart’. In 2011 itself he began working on his second studio album titled ‘In Case You Didn’t Know’. In July he announced that the lead single would be titled ‘Heart Skips a Beat’ and was aired on ‘The Chris Moyles Show’ on 7th July, 2011. By 14th October 2011, the album’s second single ‘Dance with Me Tonight’ became one of the most requested songs on radio. The album was launched on 28th November and booked yet again the number one spot on the ‘UK Albums Chart’. It wasn’t long before he began working on his third music album ‘Right Place Right Time’ under the banner of ‘Columbia Records’. The album was certified ‘4 x Platinum’ by ‘BPI’. He later announced that his fourth album ‘Never Been Better’ would release in 2014 for which he worked with Wayne Hector, Demi Lovato, Steve Robson and Claude Kelly. On 16th November that year the album’s first single titled ‘Wrapped Up’ was aired on radio and was closely followed by the second and third singles called ‘Up’ and ‘Seasons’. The album’s second single ‘Up’ featured vocals by Demi Lovato and was rated number four on the ‘UK Singles Chart’. He also released an EP alongside called ‘Unwrapped’ on ‘Google Play’ that grabbed equal attention. After receiving abundant success Olly returned to work on his fifth album titled ‘24 Hrs’ in early 2016. On 8th July he released the album’s first single ‘You Dont know Love’. He promoted his album with a supporting act at the ‘British Summer Time Concert’ at Hyde Park, London for the English pop group ‘Take That’. In 2011 Olly was nominated at the ‘BRIT Awards’ for ‘British Single of the Year’ for ‘Please Don’t Let Me Go’ and won the ‘BBC Radio 1 Teen Best British Album Award’ for ‘Olly Murs’. 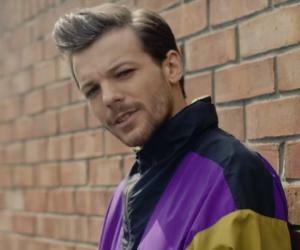 He won the ‘Best British Solo Artist Award’ at the ‘BBC Radio 1 Teen Awards’ in 2013 and was also nominated for ‘British Male Solo Artist’ at the ‘BRIT Awards’ the same year. He took home the ‘Goldene Kamera Awards’ for ‘Best International Music’ in 2015 and recently won the ‘UK Male Solo Megastar 2017‘ at the Nickelodeon Kid’s Choice Awards’. Until 2012 Olly lived with his parents in Witham, Essex but later moved into a five bedroom house in Toot Hill, Essex. He began dating model and property manager Francesca Thomas the same year, but ended their relationship in 2015. Olly has worked closely with several organisations that provide assistance to the downtrodden. In 2011, he participated in the ‘BT Charity Trek’ for the ‘Comic Relief Red Nose Day’. He appeared on the game show ‘Who Wants to Be a Millionaire?’ and won a whooping 10,000 pounds for charity. He is also a patron of the ‘Brainwave’ foundation that collects funds for children suffering from varied brain conditions like cerebral palsy. 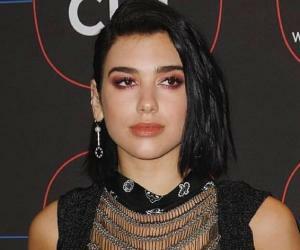 He had a minor feud with his twin brother Ben during the finals of ‘The X Factor’ as he missed his brother’s wedding to rehearse for the show’s finale episode.